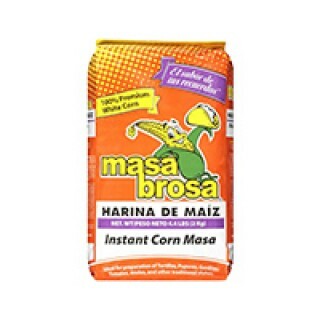 Masa Brosa is 100% premium white corn Enriched with vitamins and Mineral. Ideal for preparation of tortillas, pupusas, gorditas, tamales, atoles and other traditional dishes. No preservatives added. Buy Latin America and African food item online now for prompt delivery.